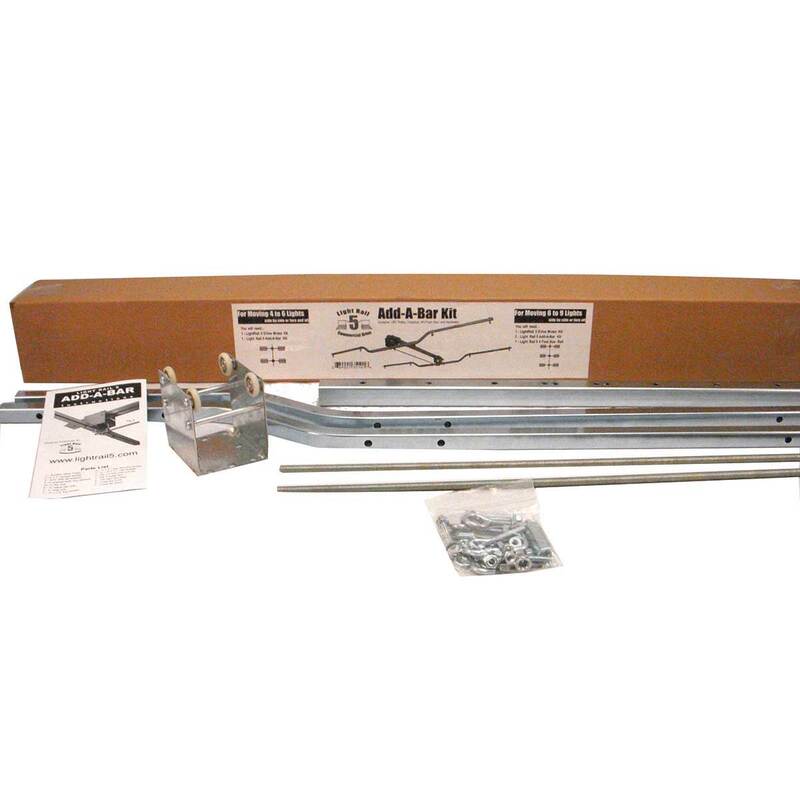 Add-A-Bar Kit for LightRail 5.0: The Add-A-Bar Kit is the way to add a second crossbar to the LightRail 5.0 Kit. 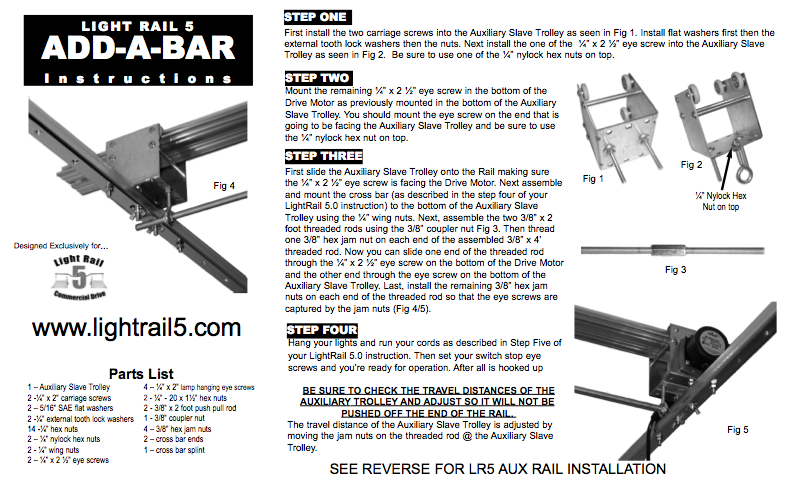 And, it includes a LightRail 5.0 Auxiliary Trolley, a crossbar, a push/pull rod, mounting hardware and instructions. 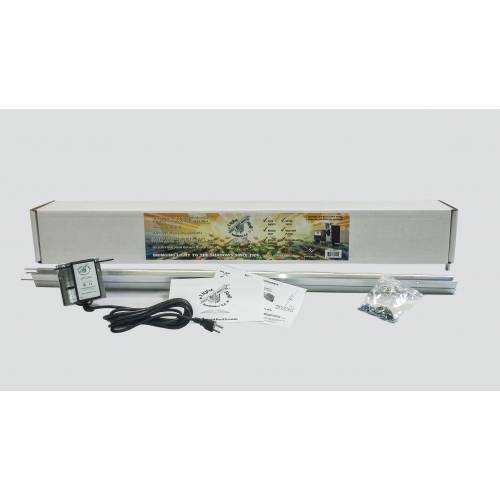 See specific grow light system product details farther below. Add-A-Bar Kit for LightRail 5.0: The Add-A-Bar Kit is the way to add a second crossbar to the LightRail 5.0 Kit. 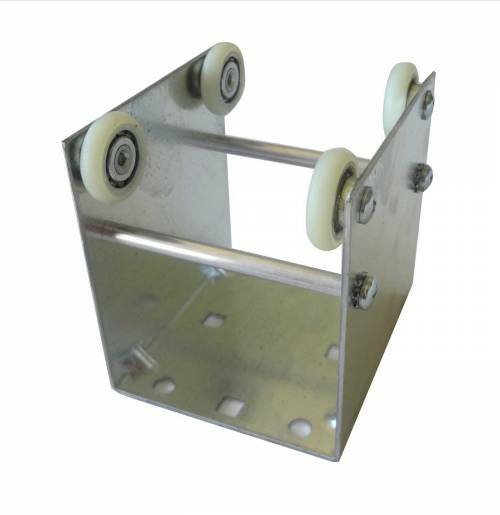 It includes a LightRail 5.0 Auxiliary Trolley, a crossbar, a push/pull rod, mounting hardware and instructions. And, the Add-A-Bar adjustable width settings are 81”, 87” or 93”. 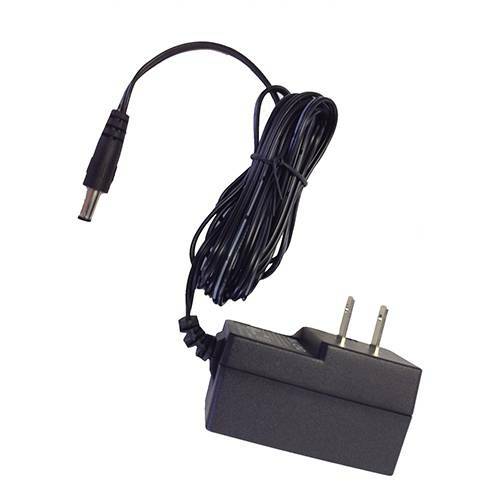 Also, if a third crossbar is needed, you will also need to purchase a 4 foot LightRail 5.0 Auxiliary Rail. Hint: Most people have each crossbar travel in its own 4 foot Rail half section. And, that’s with about a 2’ gap between those 4 foot Rail sections. Indoor plant light will fill in the gap area from both sides. 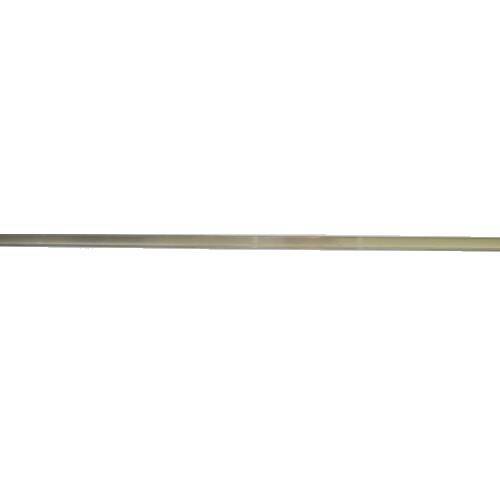 For the adjustable crossbars, or Add-A-Bar Kits for LightRail 5.0, those are at about 81”, 87” and 93” for the span. So, at 81”, the closest mounting holes for the indoor grow lights are 37” apart. 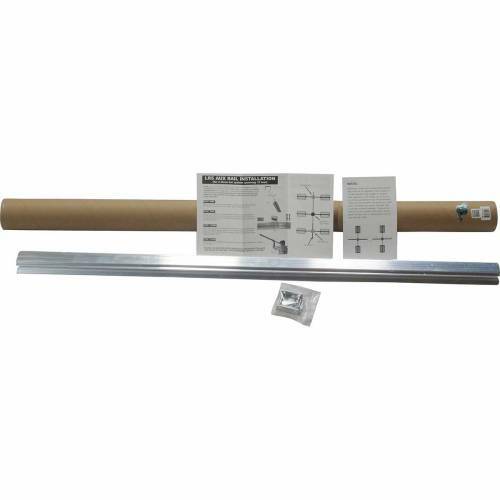 And, for 87”, the closest mounting holes for the indoor grow lights are 43” apart. 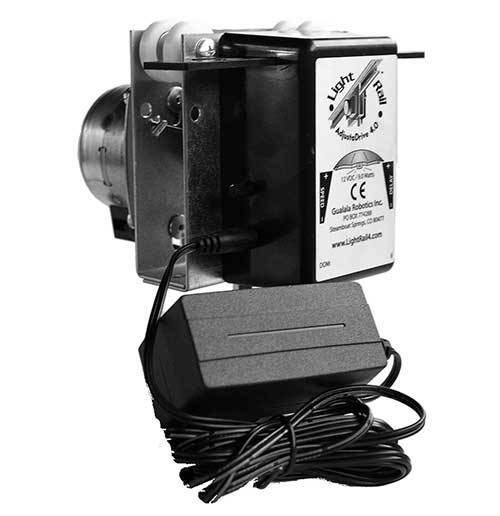 And lastly, for 93” the closest mounting holes for the indoor grow lights are 49” apart. All of those are looking at the inner end of the indoor grow light to the inner end of the other indoor grow light on the same crossbar. Also, the mounting holes on each crossbar give you four grow equipment variations as you hang your indoor grow lights. So, you can finesse that a bit overall.